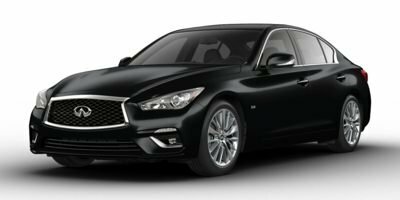 Description This outstanding example of a 2018 INFINITI Q50 3.0t LUXE is offered by Estabrook Lincoln. You appreciate the finer things in life, the vehicle you drive should not be the exception. Style, performance, sophistication is in a class of its own with this stunning INFINITI Q50. Navigate through all the icky weather with ease in this AWD-equipped INFINITI Q50, and even get non-stop traction for your non-stop lifestyle! In addition to the amazing traction control, you may even qualify for an insurance reduction with this AWD vehicle. Just what you've been looking for. With quality in mind, this vehicle is the perfect addition to take home. You've found the one you've been looking for. Your dream car.